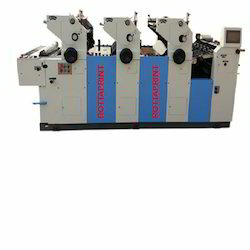 Leading Manufacturer of fully automatic non woven bag printing machine, multi color non woven bag to bag printing machine, d- cut non woven satellite bag printing machine, non woven sheet fed printing machine, multi color d cut non woven bag satellite printing machine and d- cut non woven bag printing machine from Faridabad. Air Cylinders Valves speed control. Dial for adjustment movement of cylinder for Satellite Device. Feeder Nuzzles for paper & non-woven bags. 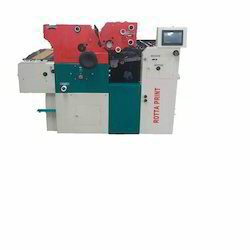 Cooper Bushes for long life of machine. Shaft and wheels for moving machines easily. Anti-Static Function all moved to the Delivery Parts. 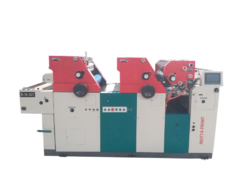 Pull type side lay for micro adjustment. Chain delivery system with receding stacker. Color type 2 COLOR MAX.